Cole's focus is on the 4-H Animal Science & Agriculture. Responsibilities include county fair livestock, serves at state fair, Ak-Sar-Ben 4-H Livestock Expo, Premiere Animal Science Events (PASE), youth leadership and communication, Ag Awareness Festival. Cole coordinates 4-H Embryology School Enrichment Programs and 4-H "Egg Cam". Tracy is responsible for the 4-H Club program and manages all non-animal project areas (clothing, food, home environment, engineering and general areas). 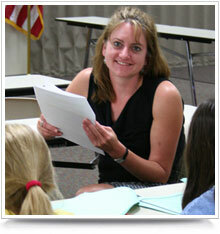 Tracy works with volunteer training as she coordinates the 4-H Club program. Tracy supports the 4-H Council and is a mentor for the Teen Council. Tracy coordinates 4-H Clover College. Marty is responsible for 4-H horses, poultry and rabbits. In addition to county and state fair, Marty's responsibility includes district and state horse shows, AK-SAR-BEN and more. Marty started "Horse Course" - an e-mail study course for youth. Teri works with Lincoln After-School Programs to provide support related to 4-H. Teri coordinates 4-H Garbology School Enrichment Programs. She also helps deliver 4-H Embryology programs in the classroom. 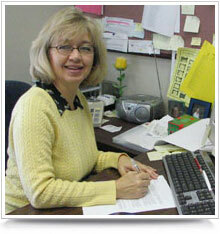 Karen provides support to all 4-H areas. She is more than happy to answer your questions and help you with your 4-H needs. Mary Jane is responsible for youth programs in the horticulture area. She coordinates Lancaster County youth horticulture contests, county fair and state fair. 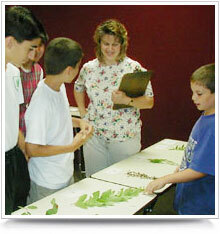 Visit the youth horticulture Web site. In addition to his responsibilities with the biosolids program, David is one of the instructors at 4-H Clover College.